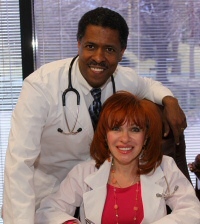 .MD Wellness Experts | How To Protect Yourself With Or Without A Flu Vaccination? How To Protect Yourself With Or Without A Flu Vaccination? Vitamin C activates the immune system. It stimulates your immune system and helps your body fight infection. It helps protect you against various viral and bacterial infections including colds and flu. While Vitamin C is helpful during an infection, it is not a good idea to wait until infection hits. The best medicine is Prevention! To improve your immune system before you become exposed, get treated early. Getting just one IV Vitamin C treatment per week can greatly boost your immune system. Quantity, frequency and duration are the prevention and if infected, the key to a swift recovery. If you show signs of illness, find a Doctor who can give you an IVC Infusion that same day. Studies show that an infusion of Vitamin C can boost your immune cells within a few hours. If your symptoms are severe a second infusion should be administered the next day. In addition to a quick recovery, we have found that patients who received vitamin C IV Infusions noticed an improved sense of well-being and were more resistant to infections. Vitamin C infusions take from 30 minutes to 1 hour and the treatment is appropriate for anyone who is 10 years old and older. It will increase the production of infection-fighting white blood cells and antibodies and increases levels of interferon, the antibody that coats cell surfaces, preventing the entry of viruses. Vitamin C is key to creating new stem cells and because your body doesn't produce or store vitamin C, it's important to include vitamin C in your diet.